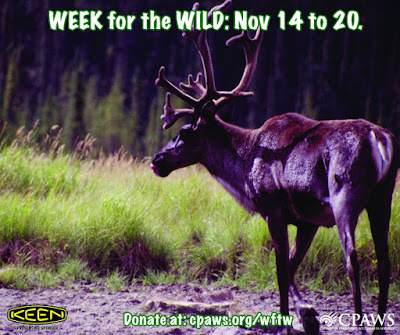 Week For The Wild is an annual fundraiser for CPAWS, the Canadian Parks and Wilderness Society. I have been chosen as the team captain for Team Feather, the team that represents CPAWS in Northern and Southern Alberta along with Saskatchewan. 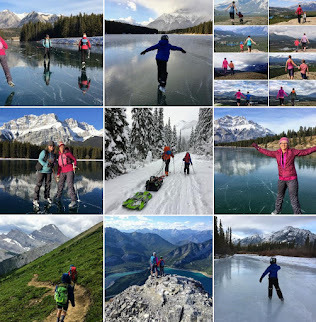 Three of my fellow KEEN Canada Ambassadors have also been chosen as team leaders, and together we are all helping CPAWS with their challenge this week of raising $10 000.00 for wildlife and conservation efforts across Canada. Through a series of fun challenges, the four teams sponsored by KEEN Canada will compete to raise the most donations for CPAWS. Challenge number one is already up and I've been tasked to "strike a pose" to raise awareness for this week's fundraiser. I chose Eagle Pose because I've always liked seeing eagles while doing river trips. CPAWS is Canada’s only environmental charitable organization that works nationally to protect at least 50% of all of our public lands and waters. Established in 1963, CPAWS works collaboratively with industry, governments, first nations and the Canadian public to help create new national parks and ensure the ones we already have are well managed to protect the nature within them. Donate to CPAWS here and choose the area of Canada you would like to support for your donation. KEEN Canada shares many of the CPAWS values when it comes to respecting nature, and wanting to do what we can to preserve it for future generations. 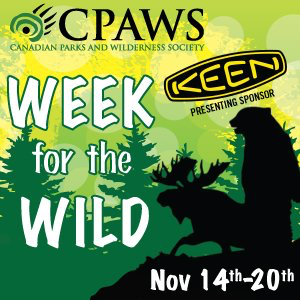 KEEN has been supporting the CPAWS national programs since 2014. KEEN is proud to sponsor Week For The Wild. 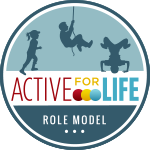 They will be offering financial support and prizes, along with promoting the efforts of their participating ambassadors. Woot Woot! It's Week for the Wild!! And we are a wild bunch! 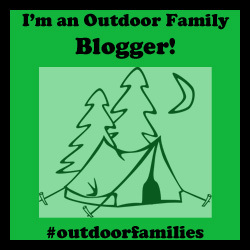 First, watch for my #Wk4Wild posts all week on Twitter, Instagram, and Facebook along with my #TeamFeather tags. And, watch for the challenges I've been given this week along with my photo responses. Today's challenge was to "Strike a Pose." I'll have another challenge on Wednesday and Friday. 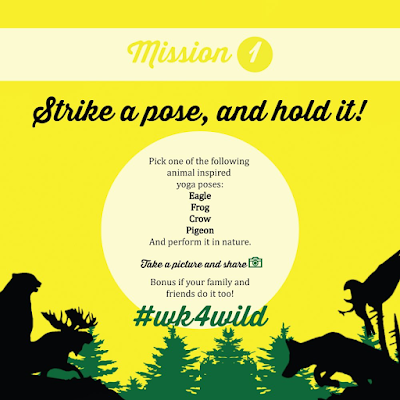 You can respond to the poses as well and I'd love to see your photos. Most importantly, please, if you are able, I'd love to see as many people Donate to this great cause. 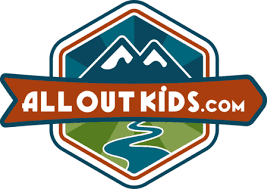 We are trying to raise $10 000.00 in just 7 days! And finally, sharing is caring! Share this post, share my social media posts, and promote this cause in your circles.